Despite the happy ending ending from the prior year, we find out that events were set in motion the following March involving a mysterious green figure and Giant Coconut Crabs. This is in addition to Hare and Claire's escape from Hell, apparently under the direction of a greater boss. The crew is living in an abandoned circus now after the mansion was attacked by coconut crabs sometime during the summer based on one of Kuse's diary entries. This has left him unwilling to speak with anyone. 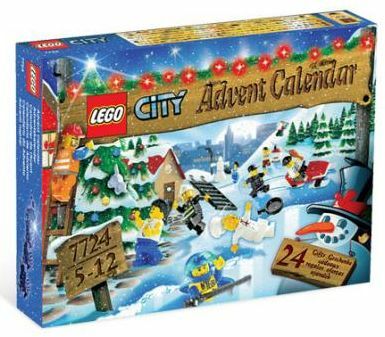 Knacks and Cher agree to attend to one calendar, while Waiterbot is drafted into doing the Lego one with James Lipton. Santa-X is locked in a cage after being defeated during the last attack, which also resulted in the kidnapping of Waiterbetty and Doctor. The arguing between Waiterbot and Knacks over which gift is better each day, continues. Knacks tries to get Kuse to talk again by offering his gift, but it's no use. Waiterbot takes a cup from James Lipton, who insists that it's a hat, and this becomes a running theme throughout the month. After they leave, two demons crawl inside box #8 to appear later. The Lego bit characters start teaming together to find ways to become noticeable. A few of the new ones state that their gimmicks are their trick, and Alpha Omega has just been reduced to a normal Fireman like many others. The rest continue trying to reason with Kuse, staging a comedy routine starring Mista Snowman, and pretending Box wants to grow up to be a fairy princess. The first causes him to walk away, but the second snaps him out of it. With Kuse back in charge, Knacks snaps at him about being selective with his leadership, only commanding when things are peaceful. Kuse tries to reason with him, but it's no use. The demons finally emerge from box #8, and Cher finds out that hand energy is useless against them. Santa 2008 pops out early and defeats the demons easily. Since he has emerged, he decides to head back to the circus. 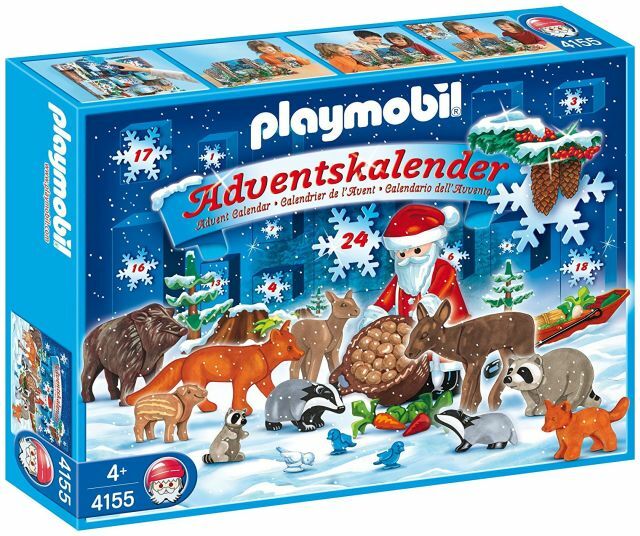 Once there, Santa is appalled at the character there, and wonders if it would have been better staying in the box. All the while, animals have been dying, and most blame Santa-X, but he blames a clown for all of them. Santa 2008 sees the clown and puts truth to the story before finally caging him. There's some discussion as to what to do with the clown. Kuse wants him killed, but Mare wants answers. However the Clown doesn't talk. Knacks has had enough the decides to set out and find Hare himself. Cher and Tigerboy join him, and Cher brings her pet Raccoon along too. Mare objects to this plan, but Kuse seems fine with the idea. Claire get word of the plan and is happy that they will be walking into a trap. Knacks, while mid-trip, admits to not really knowing where he's going, so they all get drunk, and the Raccoon escapes. Mare wants to know why Kuse has been acting strange, so she goes through his diary. He apparently stopped writing entries on December 5th, which was the same day as Mista Snowman's comedy routine. Hssxxlllo meets Kuse back stage while trying to get information out of the Clown, but notices Kuse's green appearance under his helmet, and is blasted into a animal rabbit form in order to keep quiet. Knacks finally arrives at Hare's dungeon, and they are met with several guards, who are easily overtaken. They make it up to Hare and Claire, but are no match for them. As they are thrown in a cell, they meet up with Kuse, who they think was back at home, revealing that whoever is back at the cicus is a fake. At the circus, the faux Kuse claims Hssxxlllo ran off and wants to kill the clown now. He also wants to make a baby with Mare, and orders everyone outside while they try. Hssxxlllo did run off while in his simpler form, but let the Clown escape. Raccoon managed to get the dungeon cell keys at Hare's place, and frees Knacks and the rest. The clown meets them there and helps defeat Hare and Claire. They quickly rush home to find out what's going on with the Kuse impersonator. Mare finds out on her own that Kuse is a fake named Arcano and blasts him. Hare and Claire show up outside to fight the rest of the crew, bringing backup as well. The clown shows up and helps Mare fight Arcano, while Santa-X is freed and fights Santa 2008. Footrest and a new character named Ted, who looks like James Lipton, are killed causing James to jump up on the circus tent and defeat Hare and Claire using his flamethrowers and a clone of himself. Arcano manages to defeat the clown and rushed outside to deal with everyone else. As he does, the elephants and lions convert to Coconut crabs, which was revealed in the flash back from the previous March. The story ends early this year, never revealing the details, but the aftermath picks up in 2009.